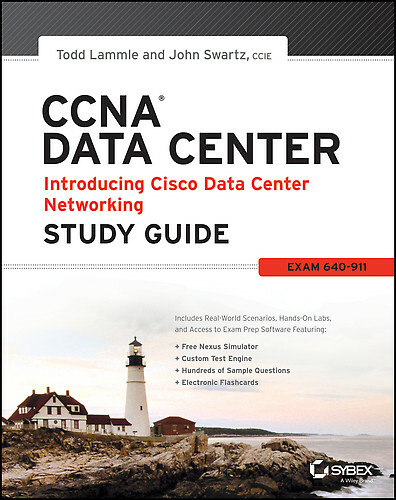 Back where we left off, if you have followed I have gone over the CCNA Data Center Study Guide from Todd Lammle and in this post we will cover two chapters 8 and 9. Comment below if you have any questions on these two chapters let’s get started. Chapter 8 Overview: We are actually making some progress, we configure the NX-OS with CLI there is not a GUI that I am aware of although SDN could be kind of in there but for this exam it does not even exist. Remember the ways to connect to the NX-OS for configuration and verification this is the same with IOS devices, Console, Telnet, SSH and Auxiliary. Just like IOS we can erase the entire NX-OS switch to factory settings by using the write erase boot, along with using the same commands available in IOS. (Copy run start, erase start config) In the exam we need to understand and add SVIs, remember to turn on that feature. The NX-OS brings two user roles out of the box without implementing any access-control when logging into the NX-OS you can have network-operators and network-admins, know the difference between these two. Just like IOS learn how to use the help functions available in the NX-OS along with knowing how to create a hostname and finally the know the advantages of using SSH and the requirements to set up SSH. My thoughts: This chapter went over how to get started in configuring and setting up the Nexus. It reminded me of on old post I did for IOS about Basic Router Configuration. This chapter just got you close enough to touch the hardware and turn it on but not really run it. Chapter 9 Overview: Changing some gears in this chapter we learn about IP Routing we get a crash course in this. This chapters talks about the IP Routing process. How does the packet get from point A get to point B. Look over page 278 carefully to make sure you understand it also be sure to understand the role of the MAC address. I also thought it was interesting of how the routing table looks in NX-OS when comparing it to IOS devices on page 277, I would also study this. My thoughts: Chapter 9 had some key areas for the IP routing if you are familiar with the CCNA this would be a good refresh course, chapter 10 will get us familiar with routing protocols. Like always I hope this is helpful, comment below if you have any questions. Previous Post Inter-VLAN Routing on the Nexus 5k.